Mohamed Farouk Arroussi was born in Biskra, Algeria, in 1993. 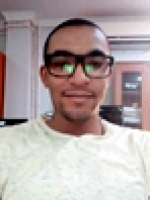 He received the BSc and MSc degrees in Electrical Engineering from the University of Biskra, in 2014 and 2016. Currently he is a PhD Student at the same university. His research interests are related to analysis and optimization of electrical systems based on renewable energies.